Impact Doors - Hurricane Resistant Patio Doors, Impact Windows, Custom Entry Doors, Installation of Impact Doors and Windows in Miami | Get a Free ASP Windows Quote! Installing secure doors is essential if you wish to make your home safe and secure for your family. Whether welcoming you and your family home after a day away, serving as an inviting entry for guests, or protecting yourself from the weather during hurricane season, your doors are here to stay. There’s no better way to update these entryways in Miami than by installing impact doors. Why Worry About Impact Doors? Security companies might start by pointing out the benefits of impact doors against break-ins and forced entry. While this is a definite advantage, as longtime Miami residents we understand that this is just one of many benefits. More important to many families is the protection these doors offer during hurricane season. Whether from excessive wind or flying debris, our impact doors are designed to stand up to the most unforgiving elements and keep your family safe. Impact doors are also a great investment in your home. If you’re looking at sliding glass doors, French doors, or just a front door with some glass panels, these hurricane proof glass options will help better insulate your home. This means saving money on your energy bill. Many insurance policies will also provide discounts if the home has both impact doors and windows. Not all homes are created equal. Often, one style of home will look much better with a particular type of door that complements that design. This is why you’ll find a wide variety of impact doors to choose from, including: Therma True, Fiber-Classic®, Belleville®, Masonite®, and more. This brand provides all the strength of a stainless-steel door with the look of fine, painted wood. Therma Tru fiberglass doors offer extraordinary protection from the elements. Part of the Smooth-Star® Entry Door Collection, these doors are made with compression-molded fiberglass with deep detailed panels. Completely resilient to rust and corrosion, these doors are not just stylish. They’re just what you need to weather even the strongest storm. The new standard for Miami impact doors, the Fiber-Classic® collection takes all the strength of Therma Tru’s original design and incorporates the look of classic hardwood construction. 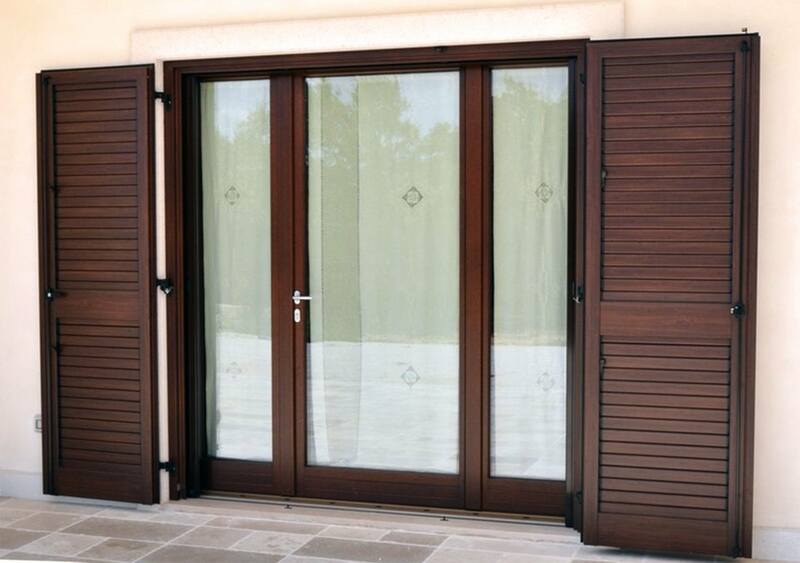 Unlike hardwood, these doors will never split, splinter, crack, or warp in the South Florida weather. If you’re looking for a classic look without sacrificing the durability, this is an excellent collection to choose from. Another great option for those seeking a more refined look, the Belleville® Fiberglass Door Collection delivers impact performance and unrivaled design. Combining superior beauty and architectural design with maximum flexibility, this collection features a high-definition panel profile. Available in both variable-depth wood grain texture and a smooth, modern finish, these doors offer the protection you need with a look that’s fit for royalty. While that classic wood look might be ideal for some, others prefer a sleek and modern steel door. Offering a smooth and primed finish, Masonite® HD Steel Doors are the perfect option. Featuring high-definition panel profiles, these doors will add style and distinction to your home. Of course, they offer the protection you’re looking for in an impact door, which means you can rest easy knowing your home is safe and secure. In addition to these doors, many South Florida homeowners also have a sun room or lanai in their home. Beyond just outfitting these rooms with impact windows, you might also consider adding impact glass doors. Whether sliding doors or our popular French doors, these options are made to be much more resilient than traditional glass. Not only do they provide protection from wind damage and debris, but they are also better insulated. This gives you superior energy efficiency over older alternatives. Since many of these signature collections feature hardwood-like appearances, we offer custom staining services on select doors. If you’re looking for a distinguished look to help set your home apart, ask about this special deal. Not only will your new door provide the protection you need from the elements, but it will perfectly match the style and decor of your home. Getting impact glass installation for your home is an excellent way to further protect your family and ensure you remain safe during the fiercest storms. With the addition of the potential savings, these doors make for an excellent way to invest in your home while providing for your family’s safety. If you’re looking to get replacement impact doors in Miami, remember you can always visit our showroom to explore your options. Call today for a free in-home estimate and we’ll find the doors that suit your needs.